to consider your grammar when a script you prepare. one cannot underestimate the apostrophe! us voiceover peeps like to breath if we dare. but one or the other is helpful we find. your intentions are that presumably? in a manner that is nothing but crystal clear? and a voiceover artist you may very well thrill. 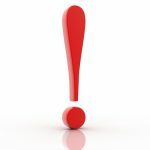 for the gift of punctuation you respectfully give!